PreSonus AudioBox USB, TASCAM US-122L, EMU 0404, M-Audio Fast Track Pro, Native Instruments Audio Kontrol 1 Interface. You’ll find that there are plenty audio interfaces you can buy on Amazon but if you really want quality, these are the best. In my humble opinion, Native Instruments Audio Kontrol 1 got the most votes from users. Really good driver support, great quality, amazing design and durability. 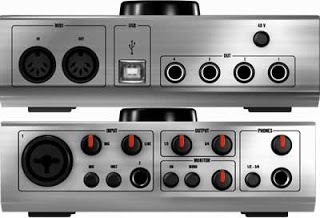 On Zzsounds.com 42 people rated this Audio Interface 9/10. It’s really impressive. All outputs sound very clean. When recording, nothing is lost. Compared to Emu 0404 recordings I really think Native Instruments Audio Kontrol 1 sounds better. You must respect the 24-bit/192kHz recording capability. Award winning high-end Cirrus Logic A/D/A converters are also included. Amazing dynamics, amazing recording, amazing product! 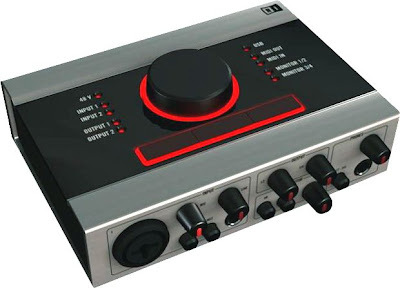 High-quality, portable audio interface with sturdy brushed-aluminium casing24-bit/192kHz conversion qualityHigh-end Cirrus Logic A/D/A converters103dB-A SNRXLR/1/4″ TRS Neutrik jack with phantom power supplied)Line/Hi-Z TRS jackIndividual gain controls with acitvity and clip LEDs4 – 1/4″ TRS outputs with 2 stereo level controlsHeadphone output with A/B source switching and level control3 freely-assignable buttons and 1 controller knobMIDI and key commands support for audio software control.